What is marketing indie style? When you began the very personal journey that resulted in a manuscript you then felt compelled to share with the world, you probably didn’t anticipate how difficult it would be to let people know your book is available for sale. 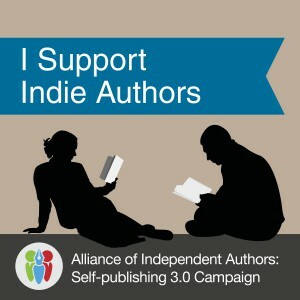 Marketing concepts and methods are relative to the consumer’s demands, not publishing methods, and traditional publishers will expect you to market yourself just as the indie published author has to. Marketing indie style simply means you are responsible for marketing your product. You first need to understand what works–what entices consumers to buy products and services? What catches their attention, keeps it, and encourages them to eventually click the buy button? Today’s consumer can no longer be swayed by traditional advertising alone. You can’t publish your book, pay for some ads, send out press releases, go on a book signing tour rock star style, and then sit back and watch the sales roll in. The world’s ever growing marketplace presents consumers with limitless options for products and services, capitalizing on every opportunity to put some type of ad or commercial in front of them, to the point of great annoyance. It is more and more difficult to be noticed in the market place, much less set your product apart from the ones to the left and right. The very thing about human beings that has always made a consumer review, or even just a simple recommendation, mean more than any ad on a billboard has made traditional advertising less and less effective. Social media outlets allowing consumers to share the ambiance of personal connection have gained such popularity that the very companies who were once leaders in traditional advertising are now competing for your interest on Twitter and Facebook and everywhere else, right along with the rest of us. Social media marketing is so named for the social connection it is designed to promote. You are not advertising a book–you are creating a social and personal connection that makes consumers notice you, remember you, and want to purchase your book and any future books. While those that can afford to can still pay for advertising and marketing services, effective marketing includes a line in the sand between that and what the consumer will expect from you directly. If you don’t actively participate in your own plan the whole thing will be less effective. One of the really great things about this is that you no longer have to be a an advertising expert to create effective ad campaigns. You simply need to be personable, creative, and driven. Aren’t you more likely to buy from a friend or family member than from a well known company? Which would you choose first: an apple pie your neighbor is selling at the local diner or a name brand apple pie from your local grocery store? What attracts your attention on the internet in general? On the social networks? Is it not the things that don’t immediately appear as advertising that catch your eye, and then hold it the longest? Are you looking at the ad from Ford, clicking through to learn more about them, and then running out to buy a car you hadn’t considered previously? Or did you scroll down to the funny image and click to see what else you could find from that cleverly disguised ad because it sparked a personal connection in you? If you are already on Twitter and/or Facebook, think about your own browsing habits–your personal browsing habits, not when you are working to promote your book. 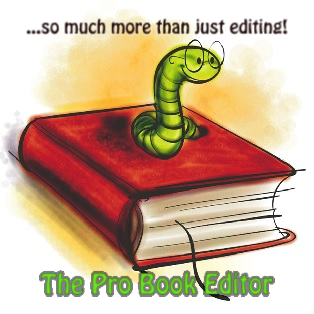 Do you respond to tweets/posts that say “buy my book,” “visit my webpage,” or even “my book is free–today only”? Or do you tend to pay closer attention to images, jokes, personal shares, and comments from others you respect and/or admire saying a product or service is worth looking into? Do you always realize when you are looking at an actual effort to advertise? Do you realize that by reading this article, it is the writer’s hope that you will be moved by the information, affected in some way, so that you will be inclined to click on the links in the credit line at the bottom? This is article marketing–it allows the writer to show off their skills and expertise and creates an opportunity to interest the reader in something besides the product for sale. Authors can relate to this model…buyers are more likely to buy a book from an unknown if they see the writing before buying and if they have some connection to the author outside of the content of the book. 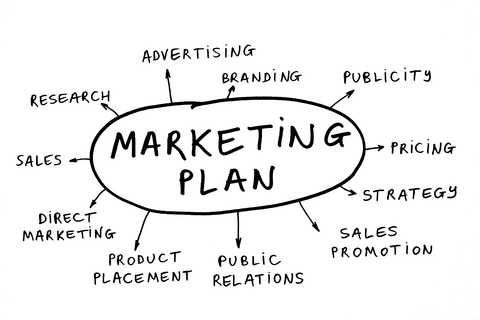 How do I create my marketing plan? Let’s review the concepts I’ve shared with you so far. How you think about what marketing means and what works directly effects how you design your plan. Traditional advertising methods are not effective. Don’t create a plan that includes “buy my book” and don’t craft your campaigns to resemble traditional marketing methods. Social media networks like Twitter and Facebook are platforms for people to interact socially with other people and create new relationships. Make new friends and cultivate a community of loyal followers and buyers. When you can’t tell it’s advertising, you are more likely to be interested. Learn how to leverage that for your own marketing plan. Trust that catching someone’s attention is enough; you don’t need to also tell them to buy something, but you do need to have your author platform structured so that it channels your social connections through to a sales landing page after you’ve built their interest and their trust. Consumers make purchases based on need or want, consumer reviews and recommendations, and then trusted sources. Make sure everything publicly available that you’ve written or created is an exceptional representation of your salable products. 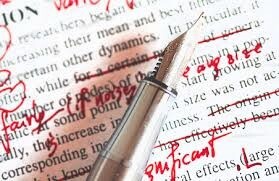 If your website is filled with errors, they will assume your books are too. Give something to get something in return as this helps build trust with strangers. Next, start doing your research, making notes, and setting plans in motion. Examine successes for guidance. What catches your attention and makes you want to buy their product and/or service? Ongoing, as you see things that work to grab your attention, use that to add to your plan and campaigns. Prioritize your efforts. In order to reach as many consumers as possible, you’ll need to be visible on as many networks as possible. Begin with the most popular and work your way down. Automate and aggregate. There are many tools available for managing multiple accounts and for linking things together so you can post in one place and it show up everywhere else simultaneously. No one wants to be so consumed with marketing one book that they don’t have time write another one. And, successful businesses don’t stand on one product indefinitely. Hootsuite is a great way to manage all of the accounts in one place and has a bulk scheduling tool. Using WordPress as the host for your website allows you to set up automatic updates to go out to the most important social media accounts every time you publish a new post on your blog page. My favorite line in this post: “You simply need to be personable, creative, and driven.” This I can do. Great article. Very thorough and informative. I’m loving the encouragement to be me, not to try to be slick, ’cause that really turns me off and I so do not want to go there (can’t anyway, so shouldn’t try). I am happy to have found this site via Andrew Harless, an author you represent, and I am glad to support your work. Thinking of an article to submit as an AHA! moment. You’ll be hearing from me!